Join the Angie’s Pantry family at the Grand Opening on Saturday, May 5 from 3-5pm for tasty, healthy & delicious tastes and treats! Exciting News! 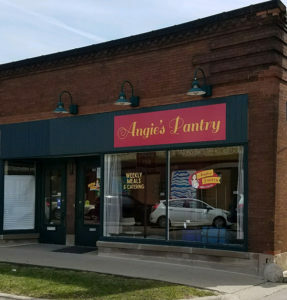 On Saturday, May 5, from 3-5pm, join me at the Grand Opening of my new Angie’s Pantry storefront in Oak Park! Located at 809 South Boulevard, the storefront will serve as a pickup location for our Weekly Meal Service, as well as the kitchen where we prepare all the meals! We’ll be offering delectable tastes from our menu for the first 100 visitors to sample. I’m so incredibly excited to be moving into this particular space! This new kitchen is perfect for preparing and packaging the healthy meals we create each week, and the main entrance area also has amazing potential for expanding our efforts down the road. 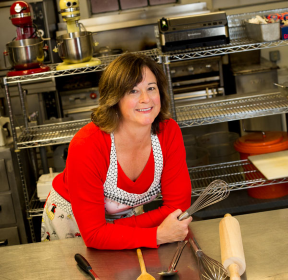 Can’t wait to see you at Angie’s Pantry!